When going from a staging domain to a live site I was able to log into my account and get things switched over. But when I go to the activate tab in the plugin I see the site listed twice. One active, 1 not active. 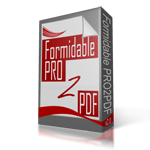 When going to submit pdf’s I receive a text file saying that the plugin is not activated. Please assist. Login to the account here and deactivate the site(s), then use the key to activate the desired site. Let us know if you run into any errors or issues.